Rise for you, rise for me; when you rise first, you rise for she. Many women have spent their lives trying to succeed by "making it" in a man's world. But things are changing - more and more women are realizing that this way of being is no longer sustainable. We are experiencing a global shift that mystics through the ages have predicted: the return of the mother and the rise of the sacred feminine. Rise Sister Rise is a call to arms for women to rise up, tell their truth, and lead. 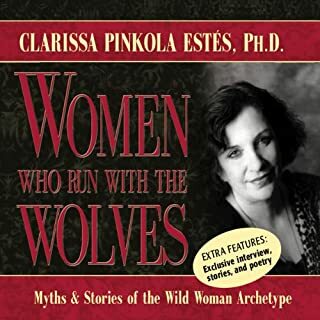 It is a guide to cocreating a whole new archetype for women in these awakening times - a woman who does not keep herself small in order to make others feel more comfortable, a woman who knows that she is not her body weight, her sexual partners, or her career. A woman who understands the true meaning of sisterhood and that alone we are strong but together we are fierce. 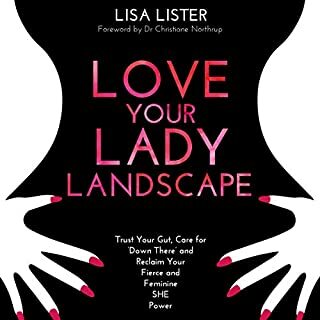 It is a manual for healing the insecurities, the fears, and the limiting inherited patterns that stop women from trusting their innate power and wisdom and being the people they came here to be. 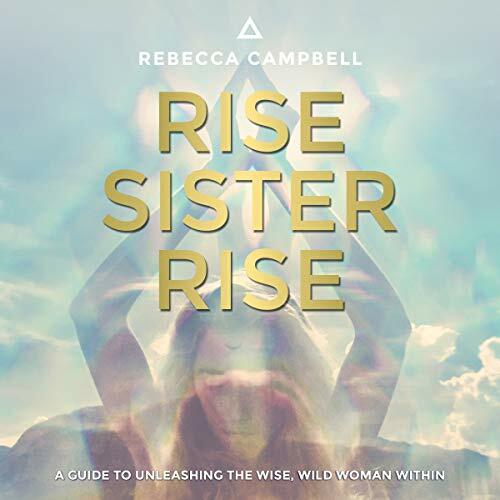 Full of tools, contemplative questions, rituals, and exercises, Rise Sister Rise will inspire you to listen to your intuition and act on it, to gather the courage to be seen and heard, to know your worth, and to heal the world around you by first healing yourself. I haven't come across a book that completely captivated me and spoke to my soul in a very very long time! This book is mandatory! I didn’t realize all those things I wanted to do and be were my soul telling me what I needed. I was divinely called to this book and it fed my soul in ways I couldn’t have imagined. This audio-book is magical - like listening to a friend tell a comforting story. There were so many takeaways I wound up buying a physical copy of the book so I could easily reference it. This is exactly what I needed. An inspirational guide to awakening the sleeping powerful woman inside. Thank you. I am now looking to attend a retreat! Get it. Hear it. Do it. You will not regret this one. I went through a decade of anger after abandoning my extremist Baptist and Presbyterian upbringing through which I learned mostly judgement and fear... I am finally back on my path toward a wholesome spiritual existence and this book brought me miles in just 2 days of listening. I have joined the sisterhood and can't wait to see what lies ahead. so glad this was read by the author, this book is amazing and should be necessary reading for any woman or teenager. life-changing will read again! In ALL my wildest dreams I never imagined such a book existed, such a book that defined and described me to a T! Such a book that told me how hard it had been "not to be like everyone else" and the feelings of "feeling out of place all my life". I adore this book and the authors voice is just so positive and compelling. 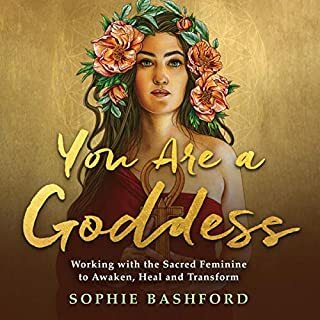 At the point I am in my life it is nearly impossible to take all of the steps I am being encouraged to in this book, but I have started on my way, I am reclaiming my voice and one day will be in the position to reclaim my feminine power. I just cannot say enough good things about this book without adding spoilers, I only advise that you read it yourself and come up with your own opinion. I love Rebecca Campbell and this book is just amazing! I'd already listened to Rebecca's other book and had found that that one had opened the door for me to step in to my true self and my spiritual path. However, this book took hold of my hand and led me through that door. In listening to it I not only finally learnt to be kinder and more supportive of myself but it gave me massive insights in to my path and why I had chosen the life I have already experienced. In doing so that freed me of so much pain and suffering, regret and anger and helped me begin the next stage of my life with less chains to bind me. I've listened to this book twice now and will keep going back to it for more support and healing. I even bought hard copies so I can give them to friends as I think it's such an important teaching. What I also love is the way Rebecca writes with a lovely sense of humour and non judgemental support. She's not helping to make you perfect just make you more yourself and to appreciate all that you are. I've listened to a lot of personal development books, read almost as many and listened to many spiritual teachers but Rebecca is the one that spoke to my soul as no other has. This has been one of the most amazing, uplifting and motivational books I have ever encountered. Rebecca is very inspiring and is an amazing Lightworker. This will encourage us all to "step out of our Spiritual Closets". sorry it's not empowering for me. I think the author should work on her reading skills. This is one of the best books I’ve found in a long time. Rebecca’s teachings are beautiful, powerful and wise. Packed full of positivity, encouragement and inspiration this is a book I’ll return to again and again. Rebecca has such a soothing voice, the content is great too. I particularly loved the idea of the practices so have also purchased a physical copy of this title. 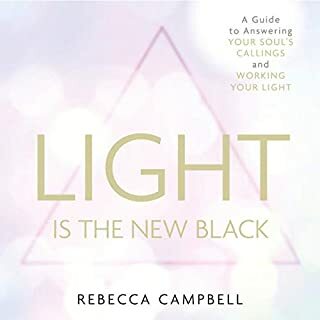 Rebecca's voice is very calming and listening to this book was uplifting and inspirational. I've decided to buy a hardcopy as I enjoyed it so much and would like to reference back to it on a daily basis. highly recommended! Loved this so much I've just ordered a hard copy so I can go back and focus on particulars. Thank you sister! Really enjoyed it. Inspiring and uplifting, all sisters need to hear this lovely book! thanks to Rebecca. You deserve to read this! I loved this audible version so much. The messages are Universal to me for I feel like the content could content to almost anyone, male or female, even though it is directed for women. This is the ultimate feel good read that you can lean on, drink in and reflect on forever once you've finished. I felt I metaphorically and quite literally massaged the body of my life and soul in each chapter and cried when I reached the end. It is just such a beautiful book. I felt cuddled each time I listened which I'm turn improved my work. Would you consider the audio edition of Rise Sister Rise to be better than the print version? I haven't read the print version, but loved the authors voice and how she conveyed her message. It was personal and sincere. Would you recommend Rise Sister Rise to your friends? Why or why not? I have recommended this book to all of my girlfriends. It invoked a feminine spark of inspiration, intuition and self guidance in me. 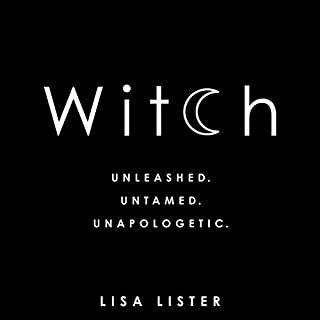 If you like crystals, witches and unicorns you will love this book. Seriously though, it is a great listen and will get you inspired to live a life open to spirituality, ritualism and getting in touch with your higher self. What about Rebecca Campbell’s performance did you like? I loved how personal it was, and to listen to her tell her story in her own words. I resonated with many of the aspects of the book and it left me feeling really inspired and uplifted. So much here that resonates. I listened through...now I'm going to listen again and do all the exercises and take a much slower journey. What did you like most about Rise Sister Rise? I love that she explains the power of the sisterhood through storytelling. I wish every woman could read this book so we can connect on a deeper level rather then always being in such competition with each other. Really inspired to go and find a group of like minded women after listening to this. I would buy the book, it's written in a way that is better to consume in the physical form so listening the the audio was a little tricky to follow at times. Wow - I have so enjoyed this, it spoke to my soul and beyond. Didn't finish. Something I found really grating was how the author couldn't decide which accent to speak in. Loved it. Beautifully read by Rebecca. Very empowering and soulful. Listened to it many times. 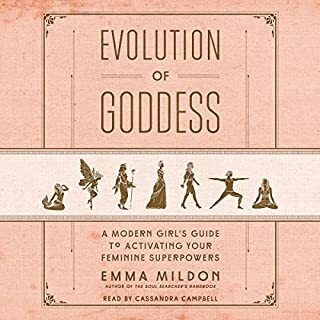 I loved this title so much I’ve purchased 3 copies of the physical book to give as gifts, I can’t wait to call in my tribe and contribute to the raising of the feminine. This is a must read. I'm sure you've heard this before... I feel like you are talking too and about me!